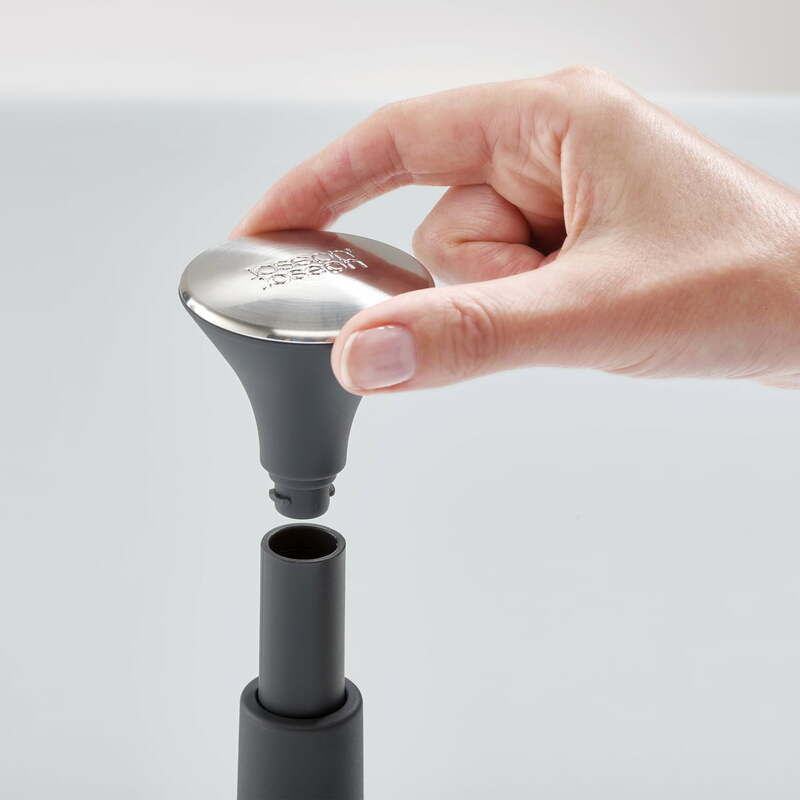 Joseph Joseph's intelligent Push & Tear kitchen roll holder is especially handy when your hands are dirty. The roll holder can also be used hygienically with the back of the hand, wrist or forearm when washing up, preparing food or baking. The roll holder has a spring-loaded lock that can be pushed down to snap the roll into place for easy tearing. The high edges at the base prevent the rest of the roll from unwinding. 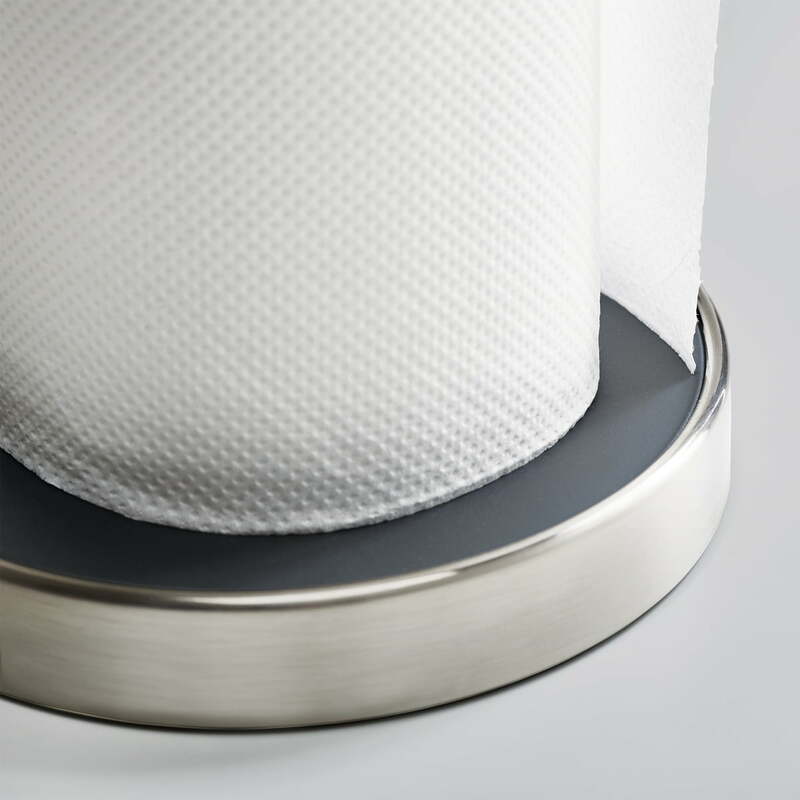 The non-slip and stable base also ensures that the kitchen roll holder remains in place during unwinding and does not slip away. To replace the roller, simply unscrew the upper lock. Suitable for roll heights up to 24 cm. 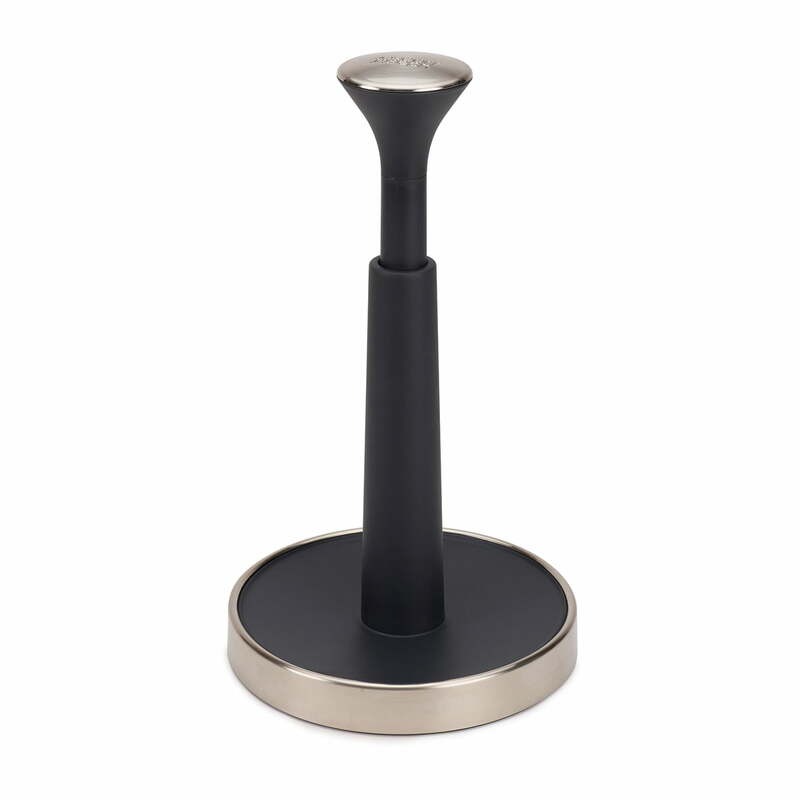 Joseph Joseph's intelligent Push & Tear kitchen roll holder is especially handy when your hands are dirty. The roll holder has a spring-loaded closure that can also be operated with the back of the hand, wrist or forearm. The base of the Push & Tear kitchen roll holder from Joseph Joseph is non-slip and stable, ensuring that the kitchen roll holder remains in place when unrolled and does not slip away. 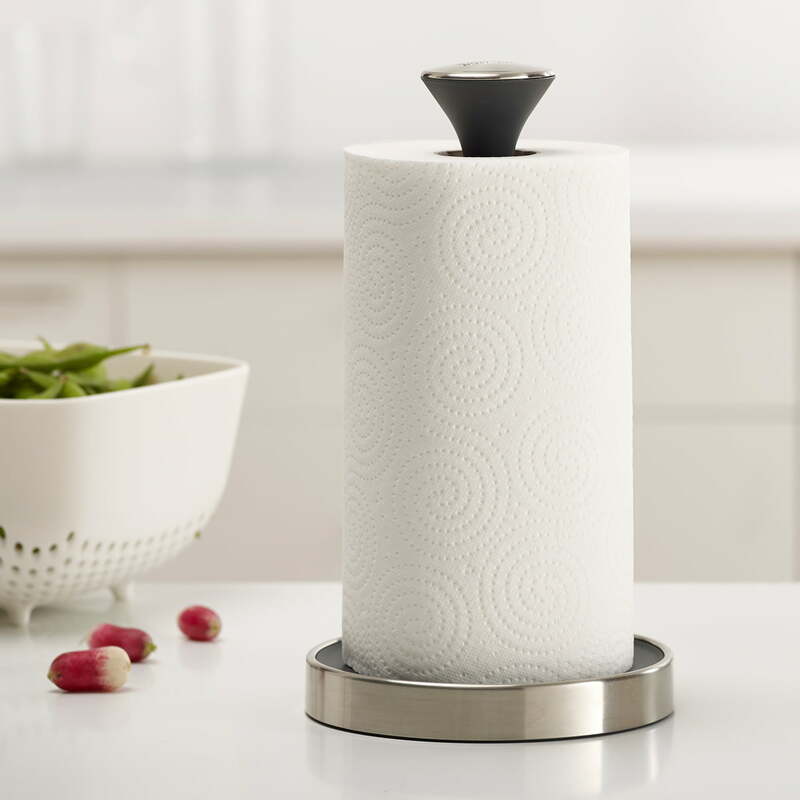 The Joseph Joseph Push & Tear kitchen roll holder features a spring-loaded closure that can be pushed down to snap the roll into place for easy tearing. 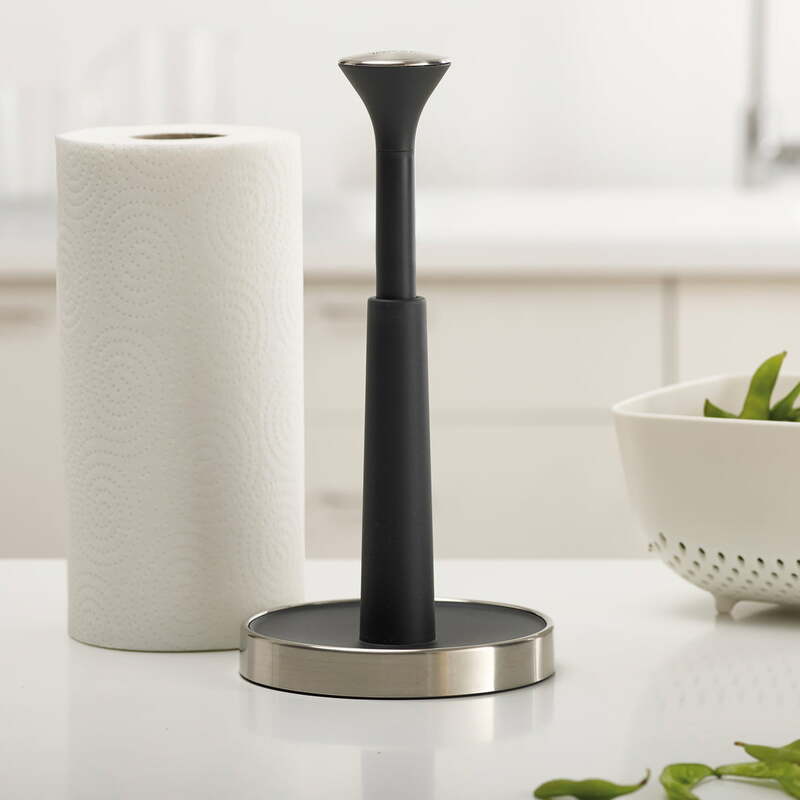 Joseph Joseph's intelligent Push & Tear kitchen roll holder is especially handy when your hands are dirty. 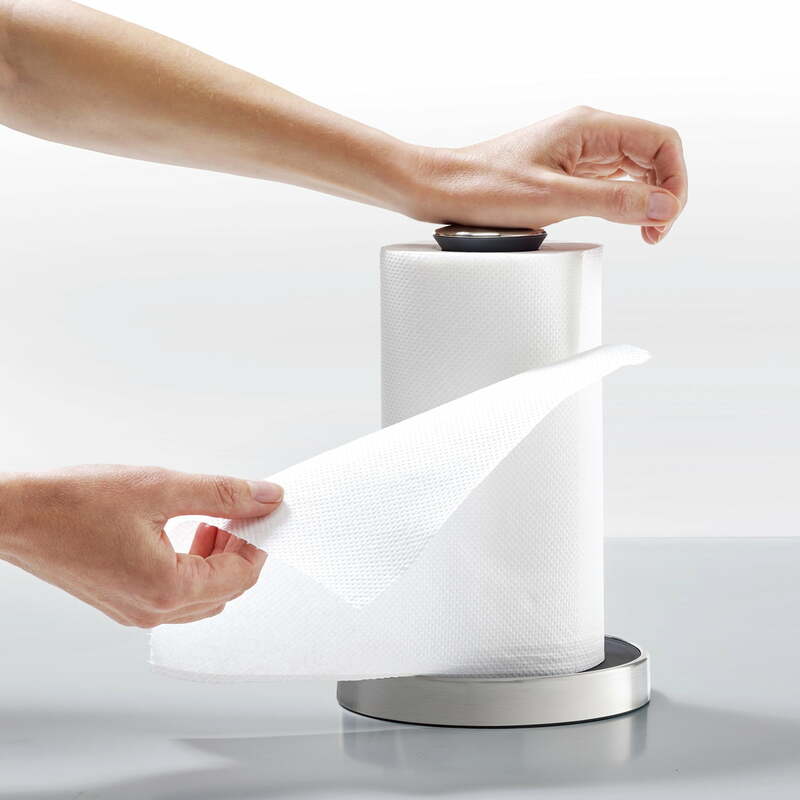 The roll holder can also be used hygienically with the back of the hand, wrist or forearm when washing up, preparing food or baking.